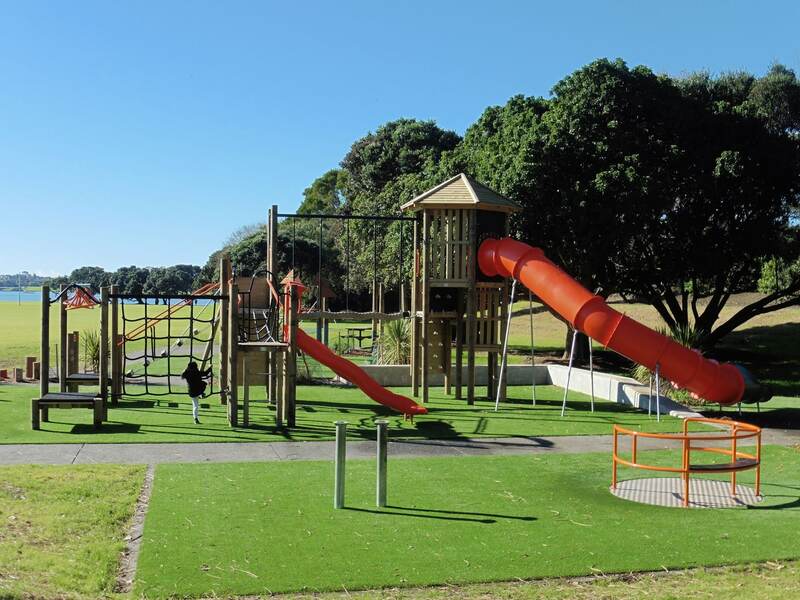 Mt Wellington War Memorial Reserve has been a long-established community favourite. 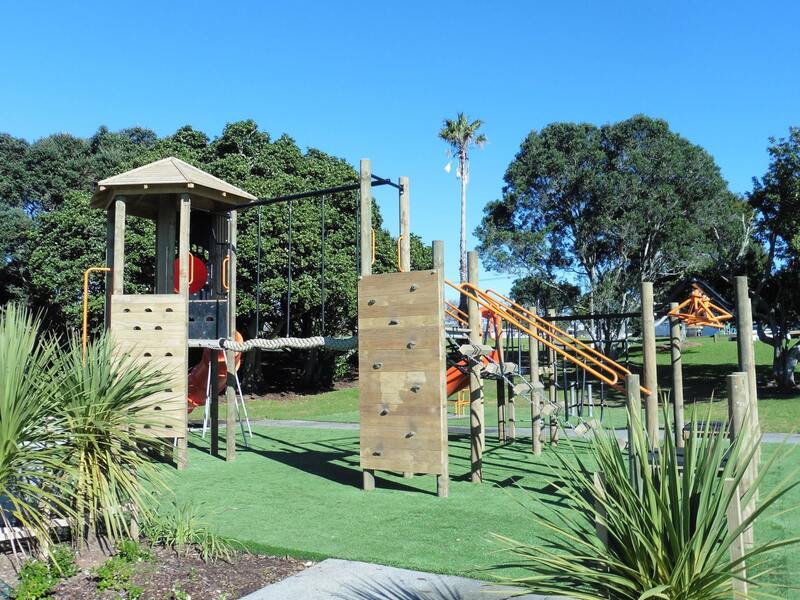 This expansive space hosts many sporting fields, and as it fronts the Tamaki River, is not only scenic, but home to water sports too. 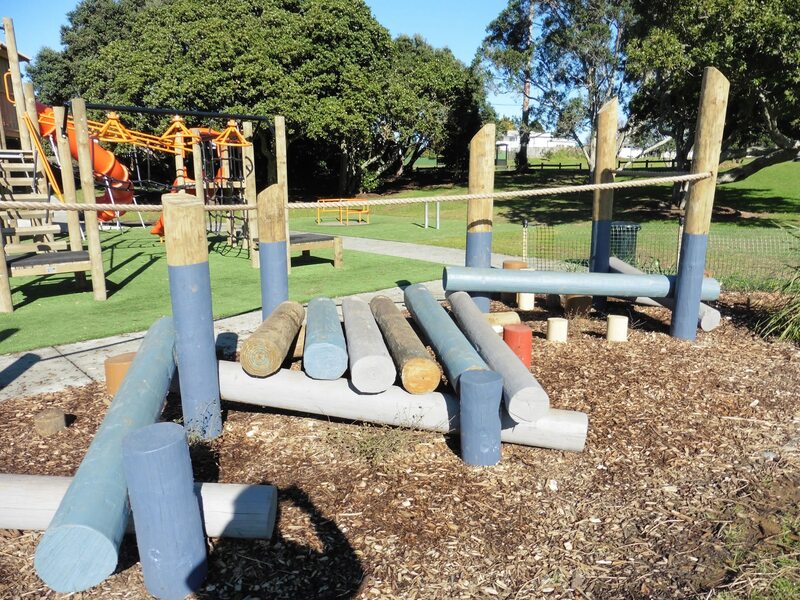 Council wanted to boost the functionality of this reserve even further by designing a place space that was challenging, fun, and could stand up to constant and heavy use. 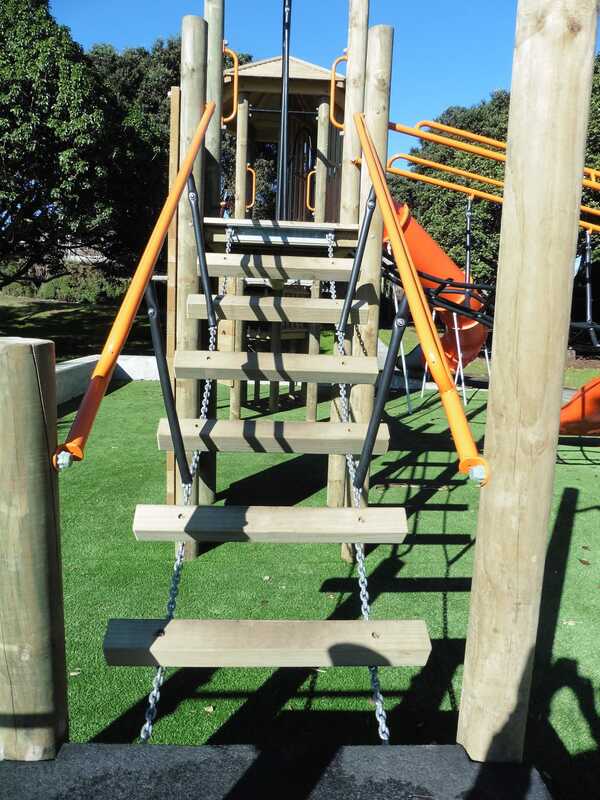 At Playground Centre we delight in bringing our clients’ vision to life. 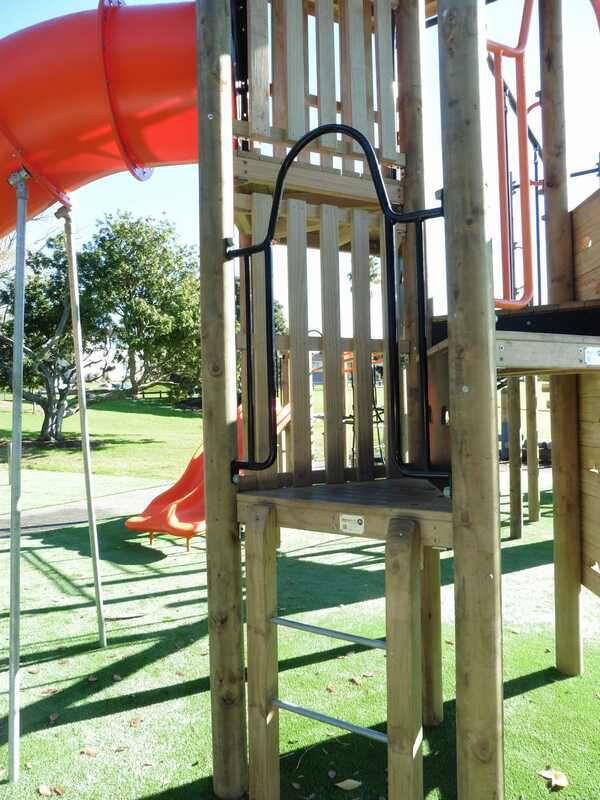 Getting involved at the design phase allows us to create a playground that maximises the space to its full potential. 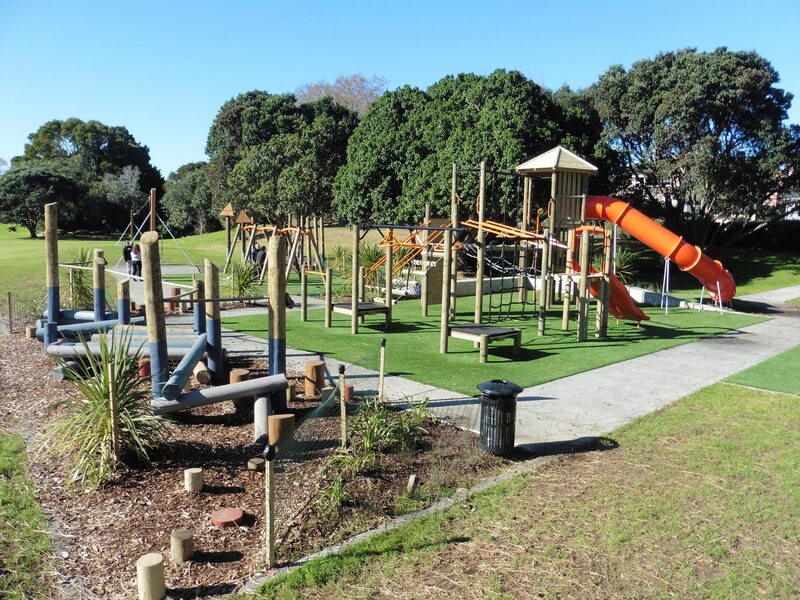 We worked in collaboration with Auckland Council’s in-house landscape architects to design a place space that would be attractive, durable and engaging. 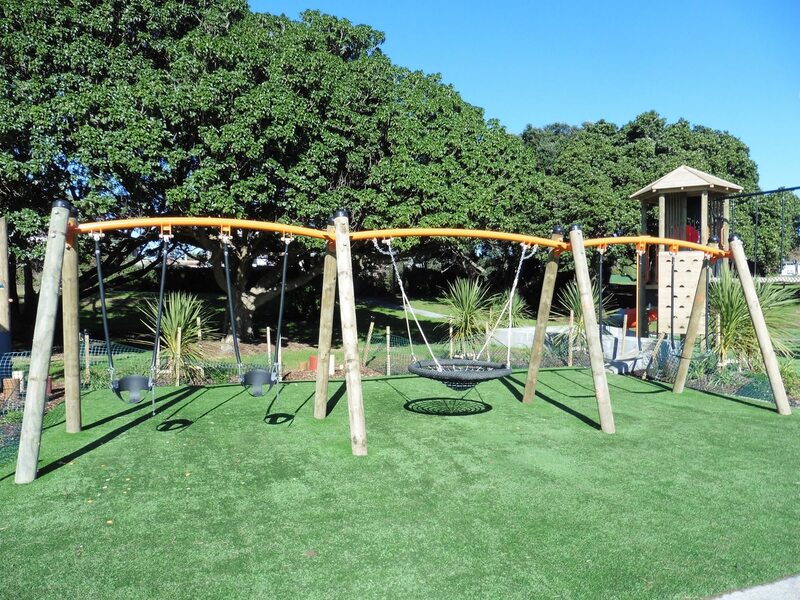 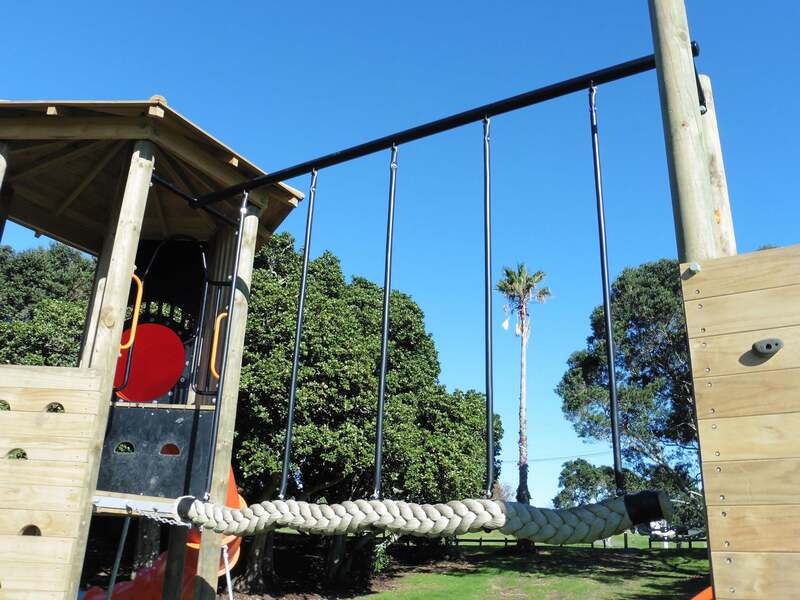 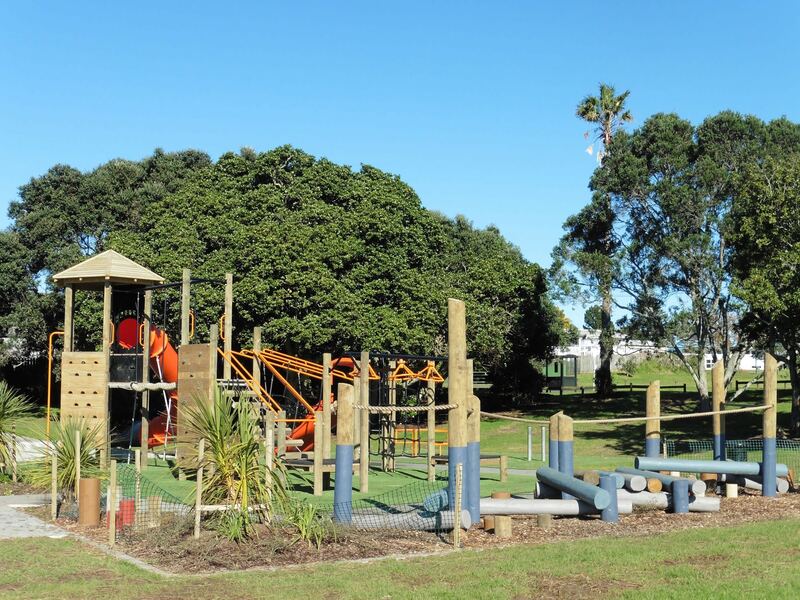 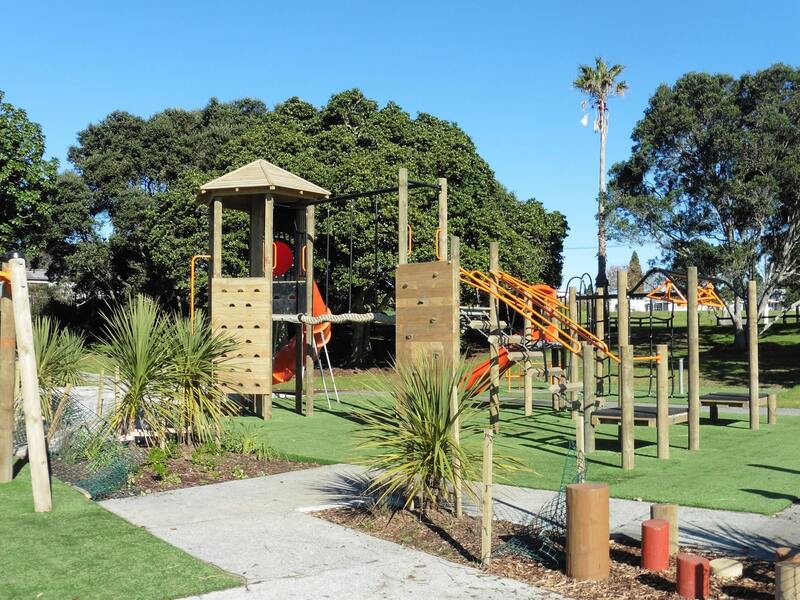 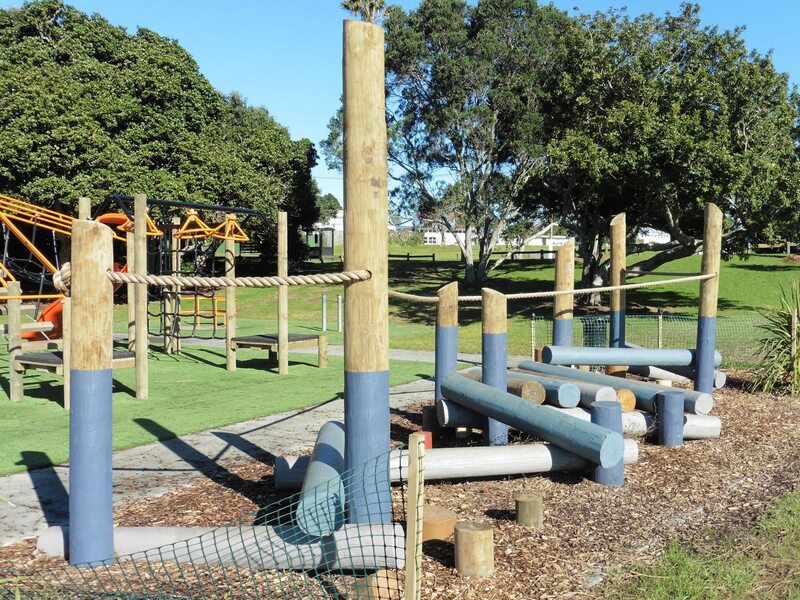 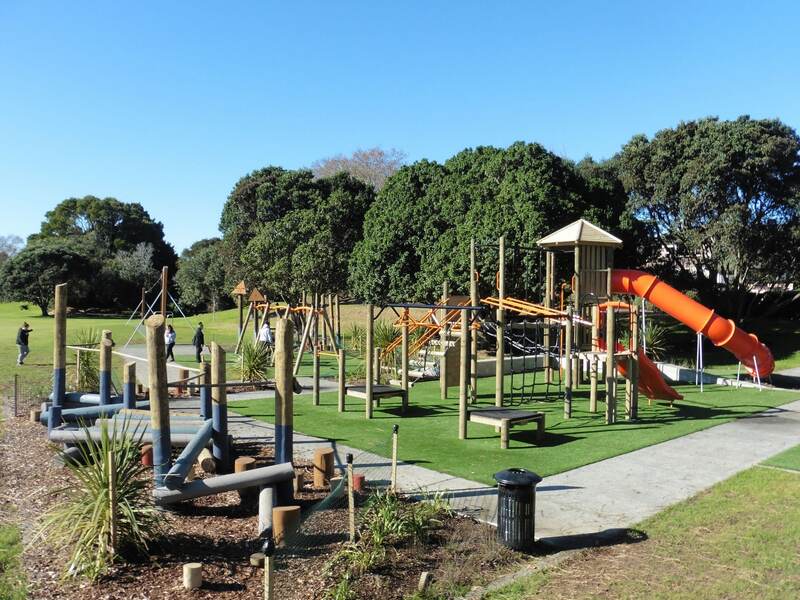 While the main parts of the reserve are wide open spaces, the playground is located in a grove with established trees and landscaped surrounds. 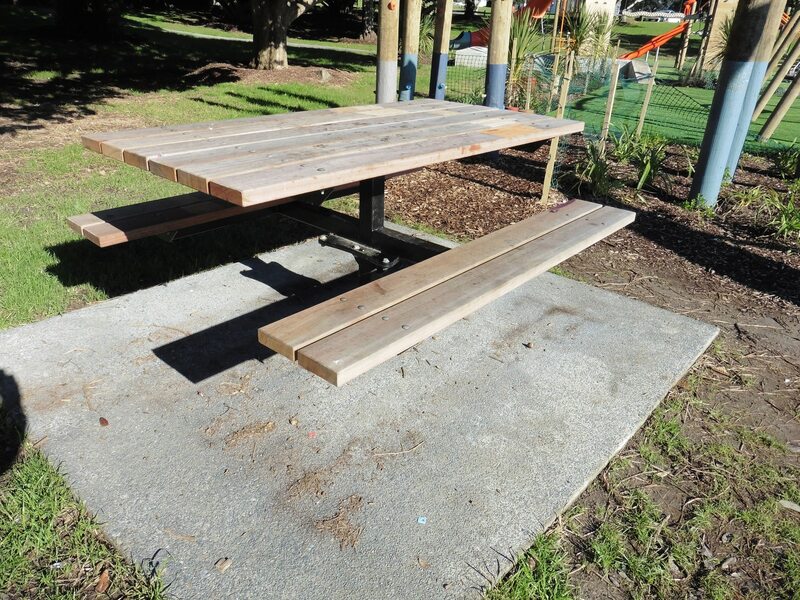 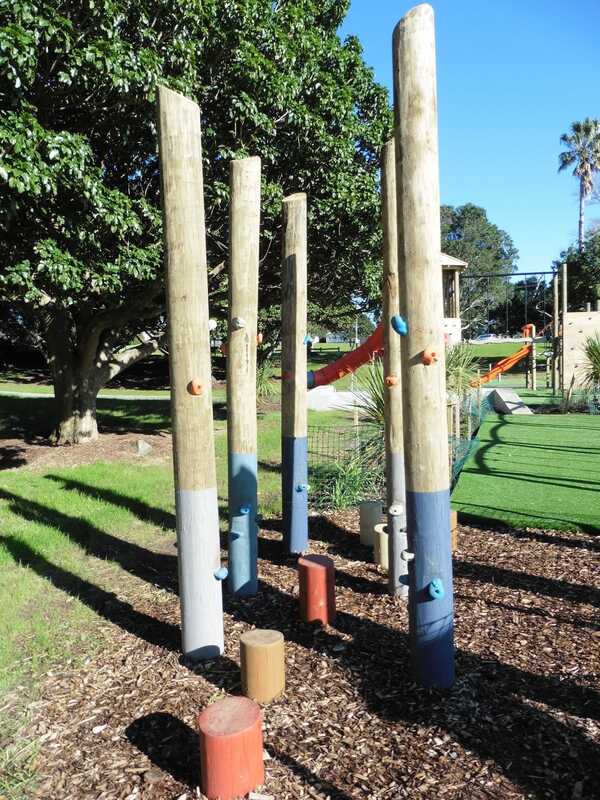 We chose sturdy wood for seating, a tower, swings, climbing and bridge structures and accented this natural material with bright coloured paint so the area would pop amongst the natural environment. 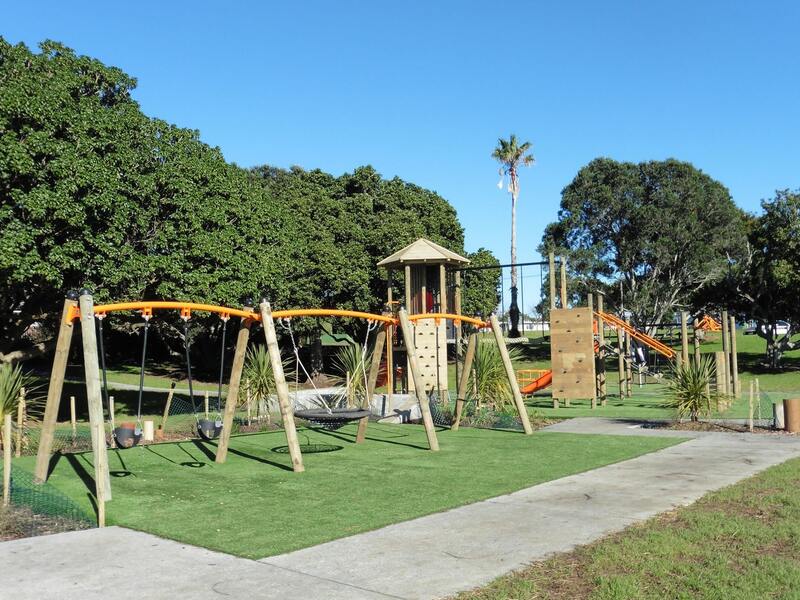 Synthetic turf ensures the area stays looking neat and tidy. 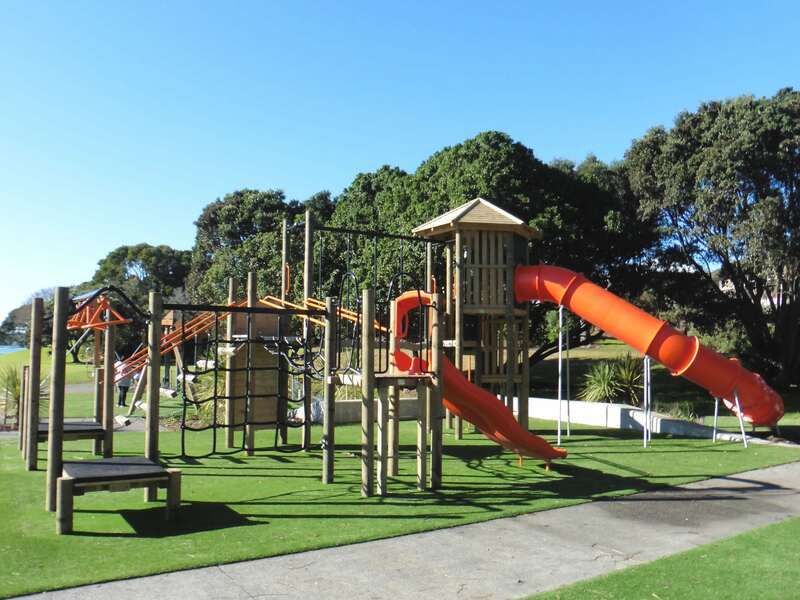 It’s an eye-catching design that delivers on its promise – the facilities were chosen to appeal to the curious nature of children. 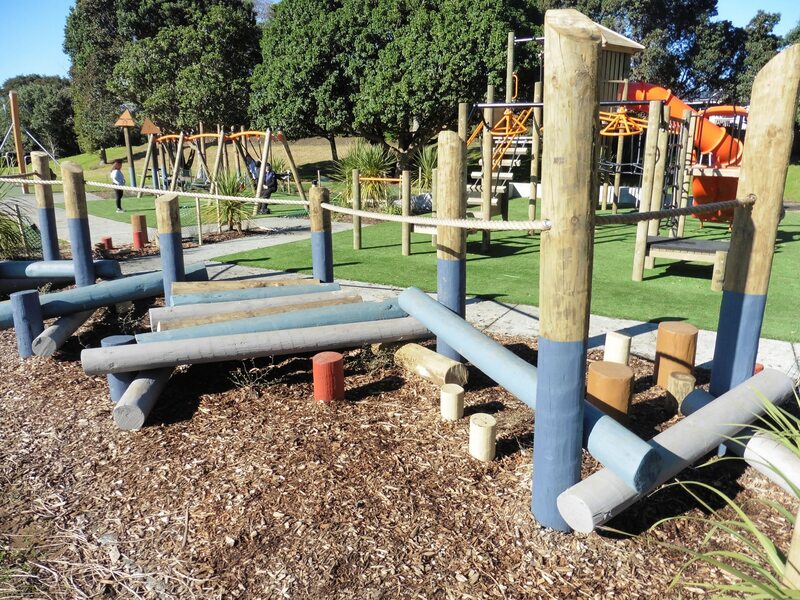 There are play experiences at every level with a high tower and tube complemented by low logs and accessible swings. 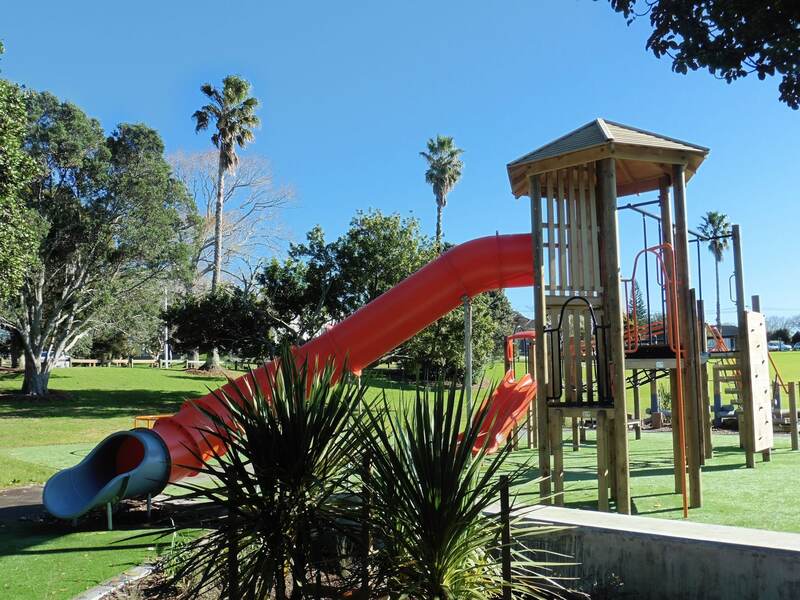 It’s truly fun experience for every park goer. 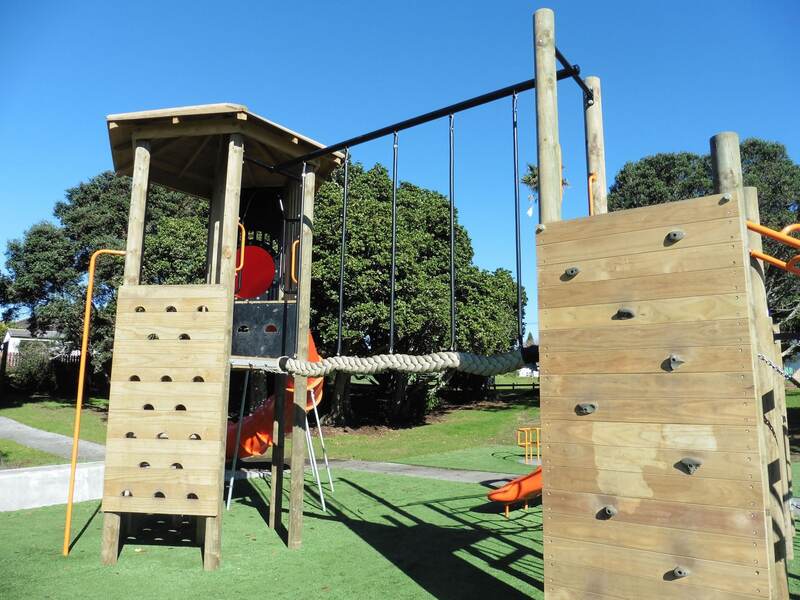 Best of all, our durable equipment will last for years in this every popular reserve space.